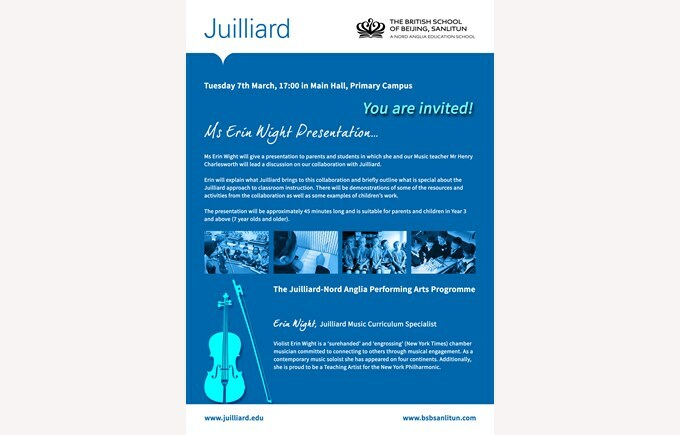 On Tuesday 7th March, 17:00 in Main Hall (Primary Campus), Ms Erin Wight will give a presentation to parents and students in which she and our Music teacher Mr Henry Charlesworth will lead a discussion on our collaboration with Juilliard. 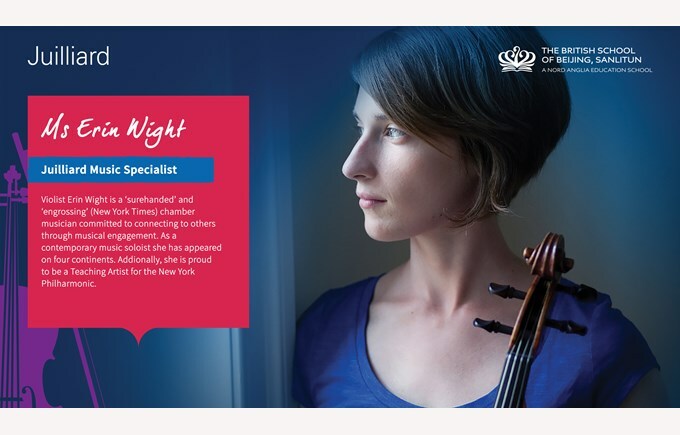 Erin will explain what Juilliard brings to this collaboration and briefly outline what is special about the Juilliard approach to classroom instruction. There will be demonstrations of some of the resources and activities from the collaboration as well as some examples of children's work. 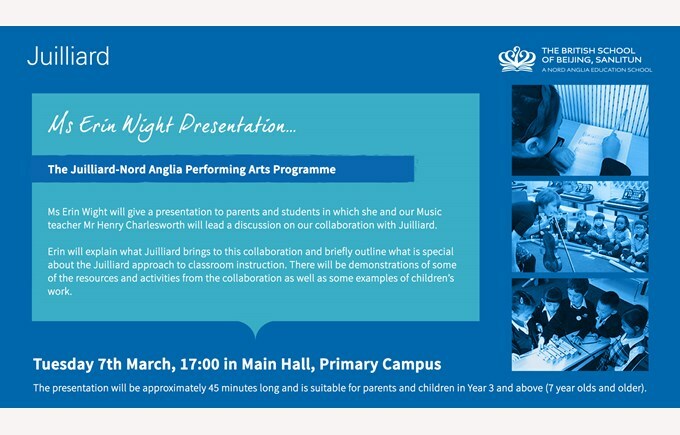 The presentation will be approximately 45 minutes long and is suitable for parents and children in Year 3 and above (7 year olds and older).